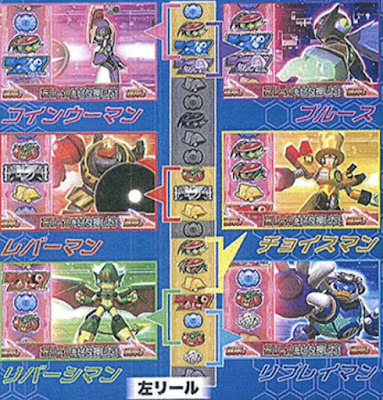 Leaked promotional material from the upcoming Rockman pachislot game, Rockman Ability, has revealed the names of four Robot Masters. 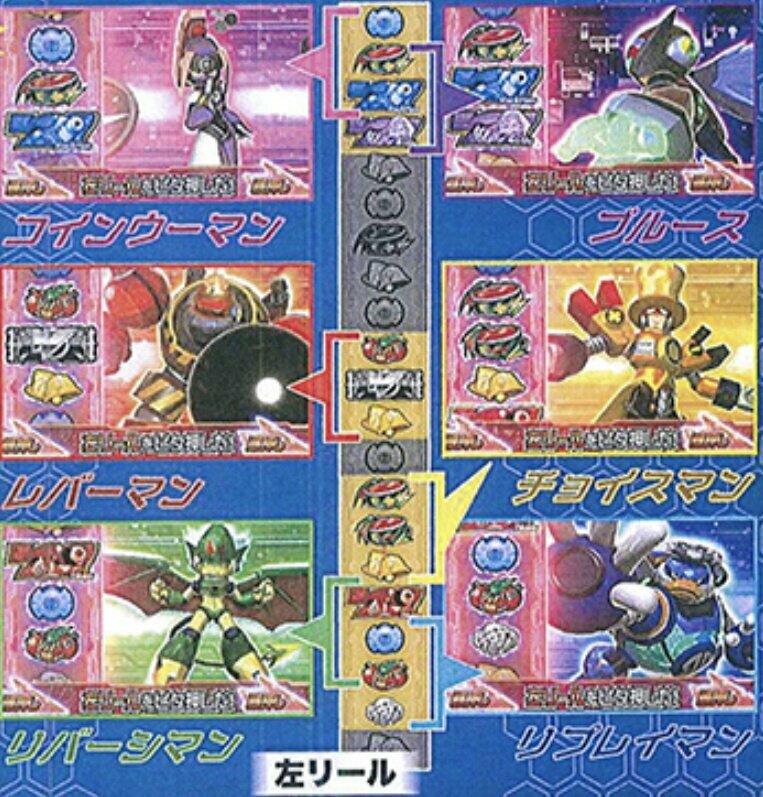 From left to right, top to bottom, we have Coin Woman, Blues (not a Robot Master but confirmation that he's definitely in the game), Lever Man, Choice Man, Reversi Man, and Replay Man. Weird names, right? I thought so too for a hot minute. But if you read them over again, it sounds like each Robot Master corresponds with a pachislot/slot machine gameplay mechanic. From what little gameplay we've seen, though, landing on one of these characters doesn't appear to affect the player's roll all that much. There's a whole lot we don't know about Rockman Ability still. Pachislot Rockman Ability is expected to launch in Japan this September. Check past coverage here, here, and here. Hm... I thought the top left was Coin Woman and the bottom left was Reversi Man... Lever Man and Choice Man are correct though.